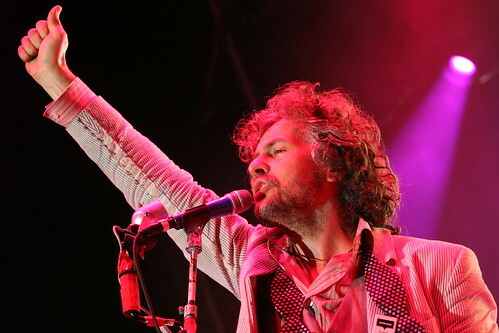 I get to see The Flaming Lips today! Wayne and Co. have been avoiding the D.C. area like the plague since they played Virgin Festival in 2006. Haven’t been back since! Today they are headlining this year’s Green Apple Festival in conjunction with Earth Day on Wednesday. Also on the bill are moe, DJ Spooky and Lod Lobos. Should be fun. The action goes down from noon to 6 p.m. (which will hopefully beat the rain that’s supposed to start right around then). If you’re not in D.C., you can watch the whole thing on the web.